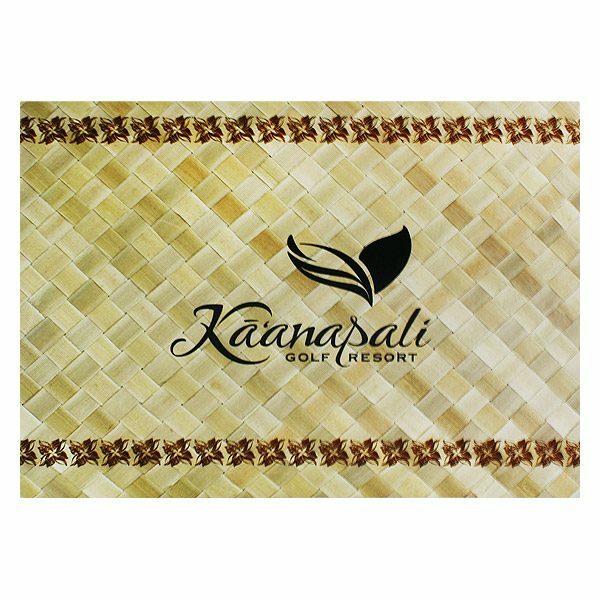 Ka’anapali Golf Resort in Maui, Hawaii offers a world-renowned golf course in a picturesque tropical setting for travelers and golf enthusiasts looking for an experience of a lifetime. 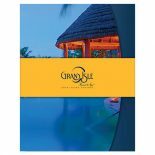 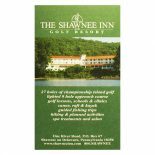 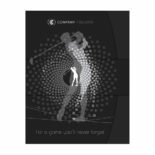 This golf photo folder was designed to give guests a piece of that experience to take home with them. 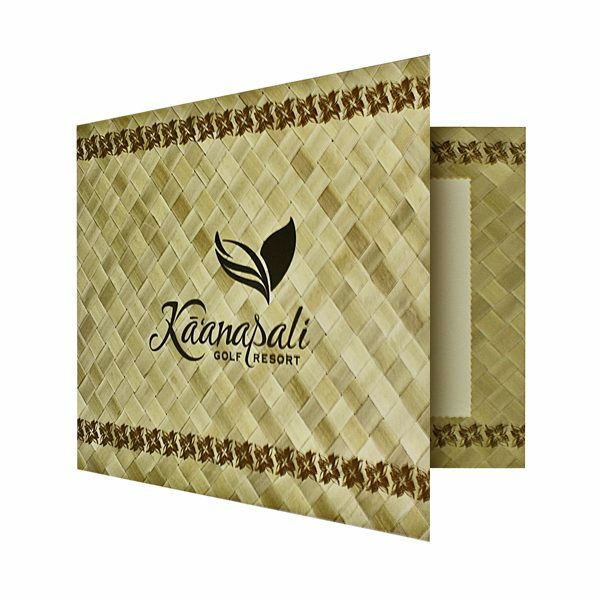 The pattern on the front cover and inside frame resembles a thatched island hut and is created using high-definition photography. 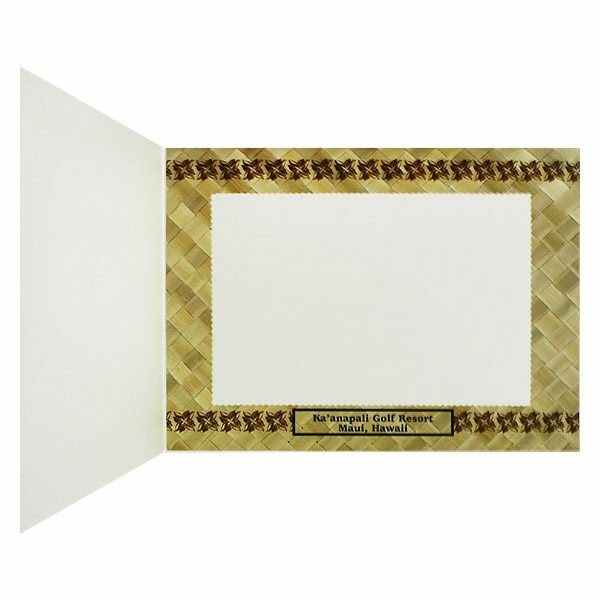 The floral border borrows influences from traditional Polynesian design aesthetics and helps to direct the eye and keep it focused on the important elements. 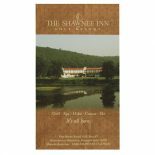 The interior frame includes a name placard that not only commemorates the guest’s experience at the resort, but also helps strengthen the brand’s identity and generate word-of-mouth business. 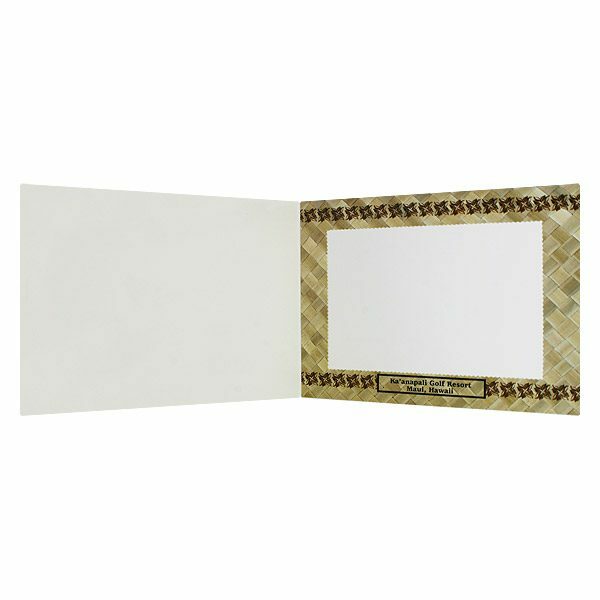 Size Closed: 8 1/2" x 6 1/2"
Size Open: 17" x 6 1/2"